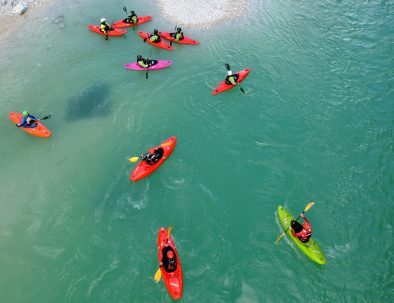 Be ready for the most fun and exciting kayaking courses on the Soča river in Bovec! We are sharing the best mountain bike trails with all bike lovers visiting Slovenia. Learning how to ski or improving your skills on your skiing vacations in the Slovenian Alps has never been easier! Discover the great Slovenia outdoors. Learn to kayak on Soča river and experience the thrill and excitement of this beautiful whitewater sport. 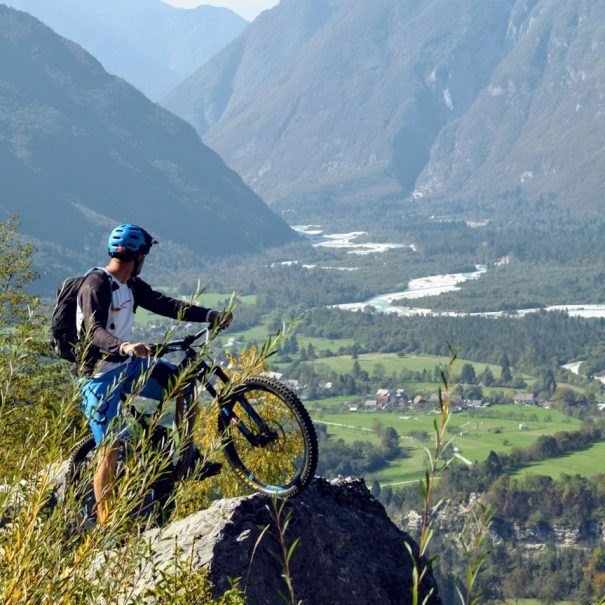 Ride epic MTB trails in the Soča Valley and make your mountain bike holidays in Slovenia unforgettable. Join our ski school based on UPS ski system to learn the correct carving quickly. We put FUN on your adventure vacations in Bovec as our top priority! 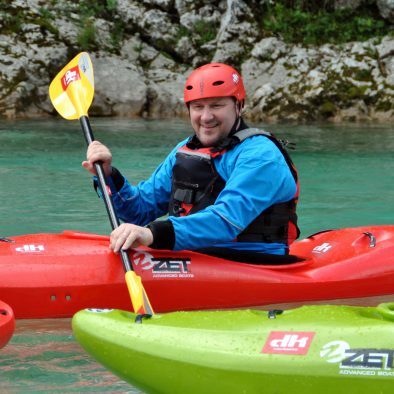 Kayaking is one of the most popular and attractive water activities in Slovenia. 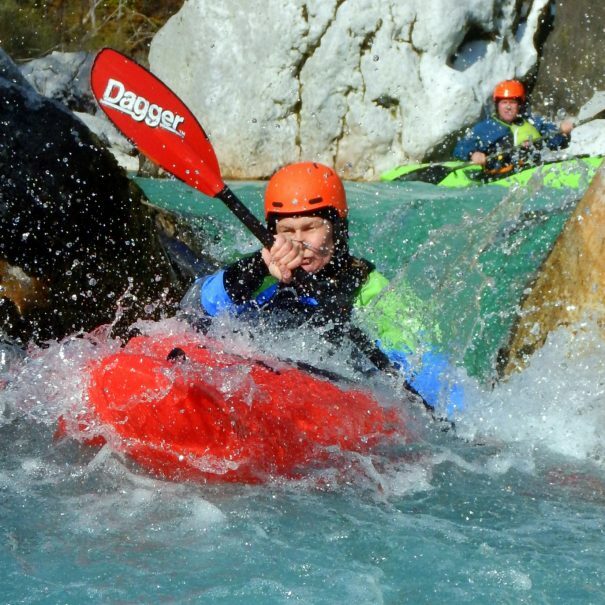 From beginner to advanced, Soča river rapids are set to challenge and evoke memorable experiences from all that descends them. ICE IS MELTING - LEARN TO KAYAK. 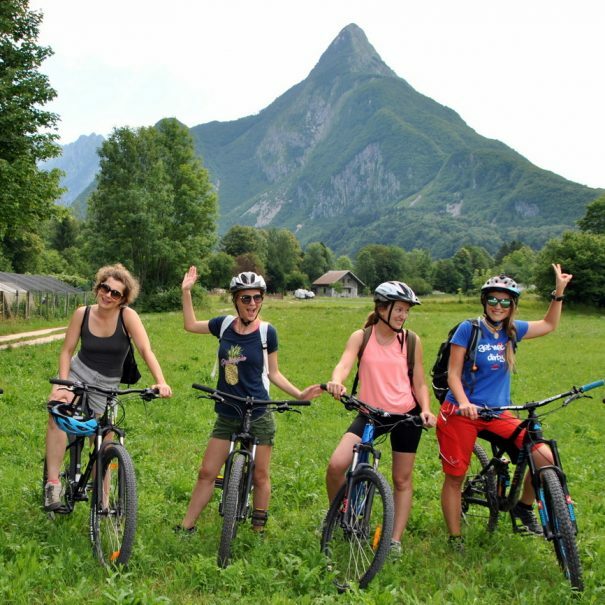 We specialize in guided MTB tours around Bovec and Kobarid which offer you specifically chosen epic single trail descents in the Soča Valley region, with a huge variety of trail styles: from secret alpine singletrack to groomed bike park runs. DO THE RIDE THING. We organize group and private ski lessons for beginner and advanced skiers. The skiing school is operated according to the unique UPS ski system through which you learn the correct technique of modern skiing in a very short time. SKI WITH ME, I'M GLUTEN FREE. While relaxing on the banks of the Soča river and admiring the Julian Alps is appealing, don't forget to follow the call of nature and enjoy Slovenian paradise at its finest. 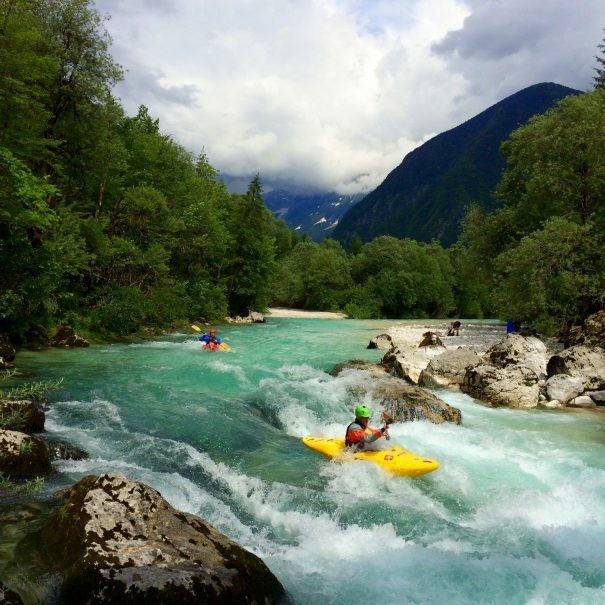 There are so many wonderful outdoor activities here to choose from, but we' ve managed to narrow it down to our top 5 favorites to make your trip in Bovec one of a kind. For those who want to add a fresh breeze of awesomeness to family holidays in Soča Valley. Are you curious about kayaking and you'd like to give it a try? Find a new, fun and dynamic way of kayaking rapids! For those of you who already know that kayaking is life and the rest is detail. 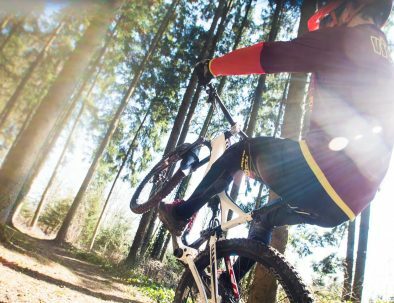 We'll be riding the best MTB trails with all mountain bike lovers visiting Slovenia. The only Women MTB & Yoga Retreat in Soča Valley & Slovenia. 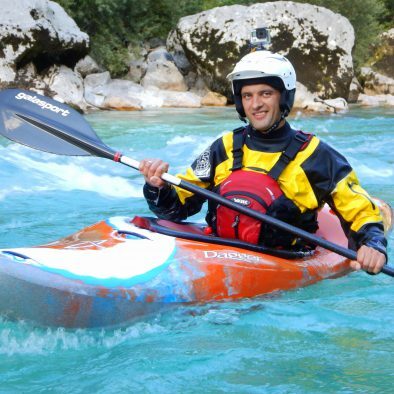 Are you curious about whitewater kayaking on the emerald Soča river and would like to give it a try? For those who want more! 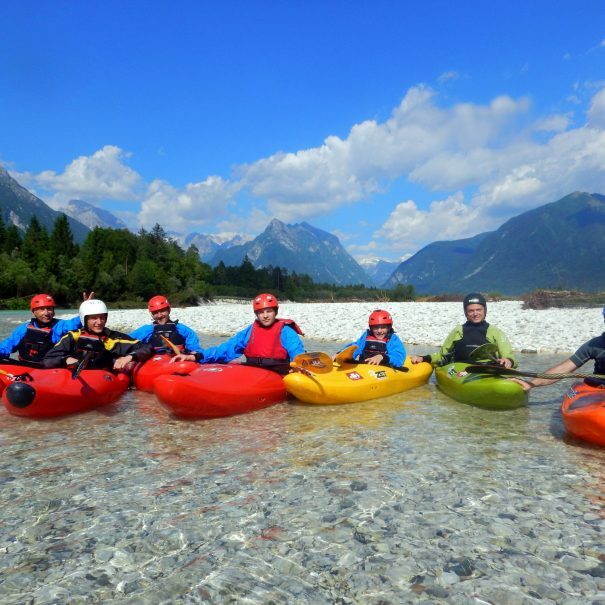 Fully customisable multi-activity holiday in Bovec, with wide range of activities and accommodation to choose from for guaranteed fun and adventure in the sun with family, friends or business partners. All you have to do is kayak. We'll take care for the rest. 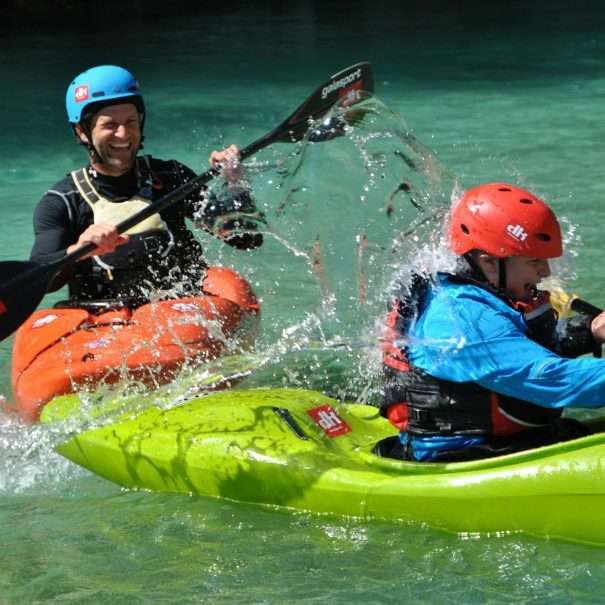 Check out our deals for your kayaking holiday in Bovec made especially for you! Ride the best MTB trails in Soča Valley & relax in Bovec's top vacation homes. We'll even hook you up with the best massage in town. Short on time, but want to experience all of the must-do outdoor activities in Bovec? We're the answer to the stressful adventure planning. Like what you see? Start planning your next adventure. DK SPORT, Dejan Kavs s.p.